Easily inflatable : No pumping or blowing involved. Simply open the flaps, step into a light wind, roll, clip and enjoy! No air pump required. 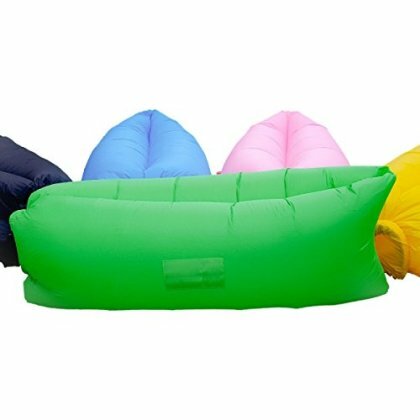 Simple to carry : Inflatable lounger packs into a compact bag when not in use. These air lounges are really cool, but you can have a heck of a time getting them blown up when there's no wind. We take ours inside and fill them up with a fan and that does the trick every time!